It seems hard to believe that the current Congress, split among GOP factions, with little experience legislating, and unsure how to approach a president who enjoys high popularity with the GOP base, will take on broad governing powers the way Kagan suggests. What’s more, congresspeople in both parties have, over the past twenty years, gotten used to an increasingly so-called “imperial presidency,” in which so much of the policymaking process is driven by the executive, especially on foreign policy issues. However, on one region of the world—Southeast Asia—the possibility for Congress to take the lead, to be the driving policy actor, actually exists. As I noted in an earlier blog post, over the past two decades Congress has played a central role in determining Southeast Asia policy. In many respects, Congress has dominated Southeast Asia policy more than it has any other region of the world; several top House and Senate leaders including Senate Majority Leader Mitch McConnell have significant interests in Southeast Asia policy. For years, the region was largely ignored by multiple U.S. administrations, and Congress was free to craft sanctions policy on Myanmar, to shape policy toward Cambodia, Laos, and Vietnam, and to weigh in significantly on U.S. policy toward Indonesia, the Philippines, Thailand, and Malaysia. Now, not only has the White House paid relatively little attention to growing crises in mainland Southeast Asia but those crises are quickly spiraling out of control. In just the past two months, Cambodia’s Prime Minister Hun Sen has shut down the National Democratic Institute’s operations in Cambodia, cracked down on top members of the opposition CNRP party, shut a range of press outlets, and seems prepared to potentially close the CNRP for good, in the run-up to next year’s 2018 national elections. Cambodia was never a true democracy, but this intense repression goes far beyond the political situation in Cambodia during the 2000s and early 2010s—it is a dramatic increase in the level of repression, one that puts Cambodia on the verge of becoming a full dictatorship. Hun Sen is only growing bolder; this week, he vowed “to continue leading his impoverished Southeast Asian nation for another 10 years,” according to the Associated Press. The White House has seemed mostly uninterested in the Cambodia crackdown; the State Department has said it is “deeply concerned” over Hun Sen’s actions. With the offices of Senator Mitch McConnell and several other top congressional leaders long interested in Cambodia, the opportunity is there for Congress, rather than the White House, to develop a tough approach to the growing climate of repression in Cambodia. Similarly, in Myanmar the situation in Rakhine State has in recent months spiraled from bad to worse. Some 120,000 people have fled into Bangladesh in recent weeks, after a spate of attacks by Rohingya insurgent groups and a brutal Myanmar army campaign in Rakhine State, which reportedly has included widespread burnings of homes and swaths of land. Official figures state that around 400 people have been killed in the latest spate of fighting in Rakhine State, but it is hard to know if that number is accurate—it could be wildly understated. The military is stepping up its force presence in Rakhine State. The BBC today reported that Myanmar may be mining the border with Bangladesh. Aung San Suu Kyi, the de facto head of government, has downplayed the severity of the crisis, earning international condemnation. 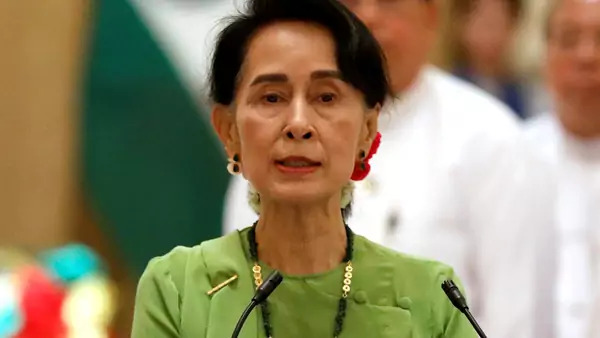 Yesterday, in a call with Turkey’s president, Suu Kyi reportedly blamed “terrorists,” for what she dubbed “a huge iceberg of misinformation” about the crisis in Rakhine State. She previously has downplayed the scale of the crisis and the army’s role in it, and there is little indication that Suu Kyi will or can restrain the military from a scorched earth policy in Rakhine. Congress, again, should take the lead. The letters sent this week to Suu Kyi and her government by Senator John McCain and Congressman Edward Royce, chairman of the House Foreign Affairs Committee, were important first steps. But Congress could do more. It can revisit the possibility of extending IMET to Myanmar, and call new hearings on the Rohingya crisis, before the visit of Pope Francis in November, to expose the potential atrocities and help people understand the situation in western Myanmar. And if the situation in Rakhine State gets worse, Congress should consider even sterner measures toward Myanmar—despite the fact that Aung San Suu Kyi in theory now runs the country.